Town with nearly 32,000 inhabitants in the centre of the region between the rivers Körös and Maros. The monument Lutheran church was completed in late baroque style by 1786. 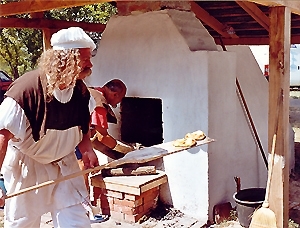 There are ethnographical, local history, folk art and archaeological collections on show in the Szántó Kovács János Regional Museum. The former home of the town clerk (1860) was built in Romantic, while the former Geist mansion in Eclectic style. Monori Inn, a listed monument, is on the outskirts of the town. There are 6,000 varieties of more than 2,000 plant species in the Rágyánszki Arboretum. 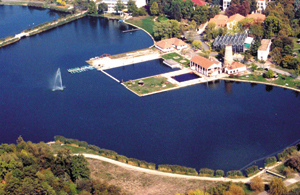 Lake Gyopáros and the medicinal bath were highly popular as early as the last century. The natural alkali water is excellent for the treatment of inflammatory, rheumatic diseases. In the medicinal bath of Gyopárosfürdő a Physico- and Balneotherapy Centre, a modern Health Centre and a Fun Bath opened in the spring of 2004 are available for those who wish to recover or relax. In the open-air bath you can find the Panorama look-out tower. Hungarian animals indigenous on the puszta like the grey cattle, racka and cigája (Hungarian varieties of sheep) are kept here. The work of sculptor Tibor Szervátiusz entitled "Historic Memorial Park" was made for the 250th anniversary of the foundation of the town, commemorating the peripeties of the Hungarian history and the town itself. 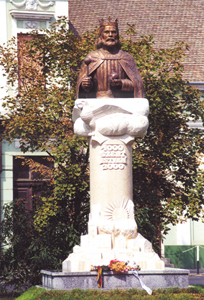 In the year of the Millennium the statue of Saint Stephen by László Rajki was unveiled, which can be seen in the city centre, in Vilmos Győri square. Besides the permanent exhibitions of the painters, István Boldizsár, Ferenc Bolmányi, Gyula Pap and József Csáki Maronyák and the world-famous socio-photographer, Nicolas Muller there are also temporary art exhibitions in the Town Gallery (1 Thék E. Street). On the occasion of the Kossuth Memorial Year a work of art called Fáklya (Torch) by László Rajki was placed in Kossuth square in 2002. The statue "In memory of the last large bird" was unveiled in the park in front of the Fun bath in 2004. The statue was donated to the town by sculptor and honorary freeman of the town, László Rajki. Tourism events: Spring Arts Festival April 2007; Great Plain Cup International Ship Model Competition 4-6 May 2007; Summer Cultural Days of Orosháza from the last week of June in the first two weeks of July; the Meeting of Brass and Reed Bands of Spa Towns the first weekend of July 2007; European Bread Celebration 19-20 August 2007; 39th International Horse Championship 19 August 2007; CAC Guard Dog Show 30 September 2007; International Work Dog Competition 27-28 October 2007. District in Orosháza, westward from the centre. Well-known medicinal bath with a village settlement since 250 years. In the forgeround of the watering place, a water surface of 30 cadastral yokes of the lake. Swimming pools and several thermal ponds have been constructed. All year round open spa. 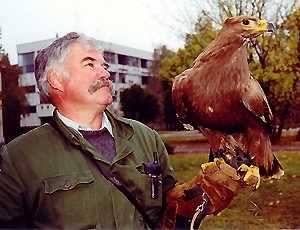 The lake as a famous meet of birds is a nature conservation area. Sights in Orosháza: evangelic church (1777), late Baroque, Darvas memorial place, Szántó Kovács Museum, Nagytatársánc, one of the greatest earthworks on the Hungarian plane.